In this lesson, we will learn how to use the distributive property of multiplication to evaluate complex numerical expressions mentally. Calculate 0 . 1 ( 1 . 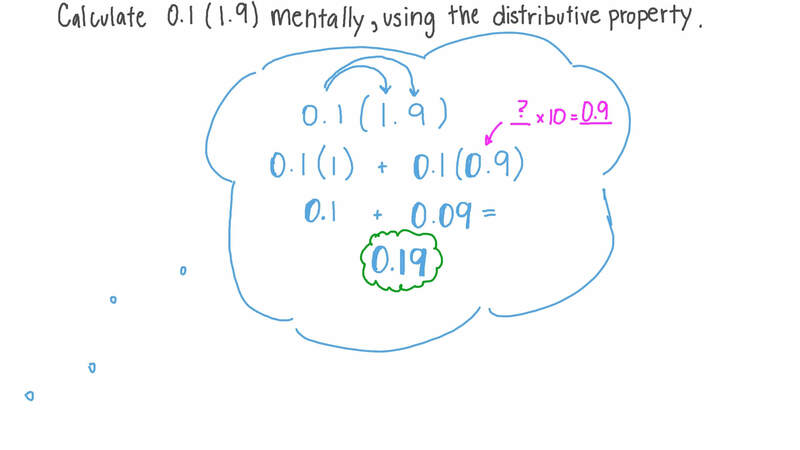 9 ) mentally, using the distributive property.